But, as is common in the restaurant industry, the opening dates changed, and the timetables of the coffee shop and brasserie the Fedorchaks were trying to open kept lining up more and more. 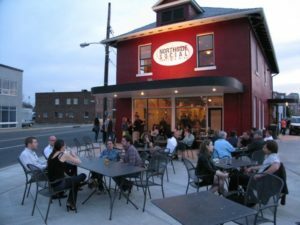 Five years ago this month, Northside Social, the coffee house and wine bar, and Lyon Hall, the brasserie, opened seven days apart. Combined with Liberty, they give the Fedorchaks and their partner, Brian Normile, a trifecta of staples in the Clarendon restaurant scene. 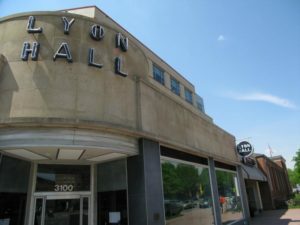 That’s not a surprise, since the owners of three of Clarendon’s most celebrated restaurants all live in the neighborhood. They’ve seen it grow, seen it change, and they have had hands in both. Before Northside Social Coffee and Wine opened, the distinctive red building at the intersection of Washington, Wilson and Clarendon Boulevards was home to Murky Coffee, where Fedorchak said his team “must have met 100 times” when discussing their burgeoning business. When Murky was closing and the space opened up, they felt they had to jump on it. To ensure business from sunrise to sunset, they installed a wine bar on the second floor, and the idea clicked. “The business has been busy since day one,” Fedorchak said. 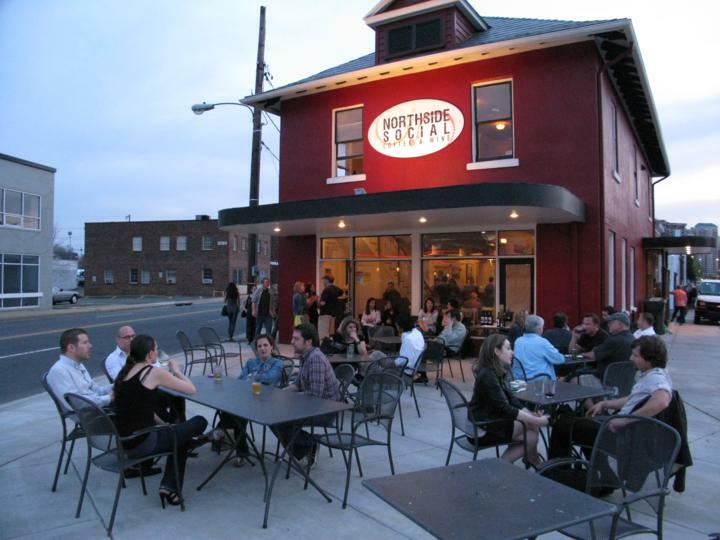 They also expanded the outdoor patio, which rarely has an empty seat on sunny days, and the food menu, a tricky feat considering the building’s historic status precludes the owners from installing some industrial kitchen equipment. The building is part of the secret sauce that makes Northside unique. Fedorchak said people ask him all the time if a second Northside Social is in the works somewhere. While the Northside Social opportunity opened up, Lyon Hall (3100 Washington Blvd) was the product of the ownership team seeking out a new venture. “We thought it would provide some diversity to what’s out there,” Fedorchak said. The French-style brasserie — with some German influences — serves dishes like a Bohemian sausage platter. It provided variety to a Clarendon restaurant scene which at the time was experiencing an influx of frozen yogurt and pizza restaurants. While the Fedorchaks and Normile love their own restaurants, they also make a point to visit their neighbors and competitors. The three businesses have also evolved steadily, adding Executive Chef Matt Hill last year to oversee all three restaurants. Fedorchak also sang the praises of Sean Lowder, who has been the general manager at The Liberty Tavern since it opened, and Alison Christ, the GM who opened Northside Social, now opening up a wine bar in Hong Kong. But, above all, Fedorchak said his primary goal has been growing the community around the restaurants. They hold fundraisers for the Clarendon Alliance, Virginia Hospital Center and Doorways for Women and Families. They participate in Clarendon Day every year, and the heart of each restaurant is a bar that the owners want people to feel comfortable congregating in. That mindset has kept the business successful — “we’d feel different if we were struggling to get to five years,” Fedorchak said — and kept them in Clarendon.